In our continuous aim to provide excellent building products, Chip Soon is proud to be in partnership with Brucha. 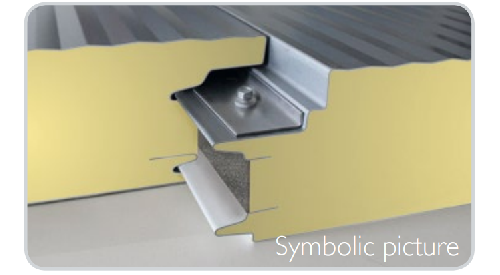 Brucha's sandwich panel creates the optimal economic framework for maximum construction efficiency. In addition, Brucha is Europe’s first panel producer who has achieved, to audit all Brucha panels with PU/PIR and mineral wool core in all thickness by FM Approvals. When products are FM Approved, you know that they conform to the highest standard of quality, technical integrity and performance. Brucha has had its products tested as per Singapore fire safety standards. Do feel free to contact us to have the relevant certificates. Available with PU/PIR or mineral wool core.